Vicky Turner (lower right), is a United Space Alliance (USA) employee who has worked at the Kennedy Space Center for 32 years, and witnessed every single space shuttle launch. She has incorporated her experience into this quilt displaying each mission's patch of the Space Shuttle Program from STS-1 through to STS-135. With the completion of STS-135, Vicky's quilt is also complete. 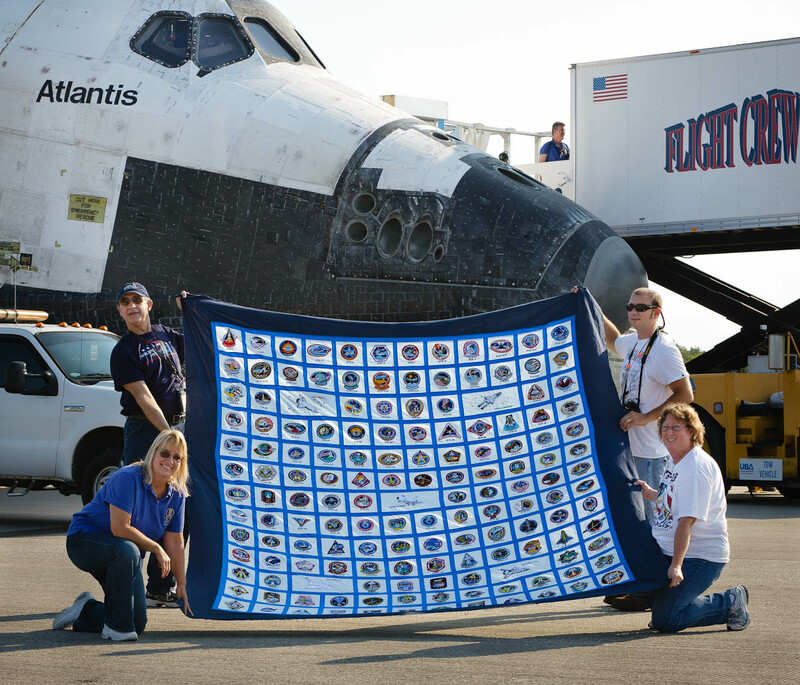 She has taken the quilt to photograph it at numerous shuttle related events, noting that it always seems to draw a lot of attention.